As a small business owner you make decisions every day that will have an impact on the future of your business. But if you’re like a lot of small business owners, you’re making these decisions on instinct, rather than looking at the complete picture. 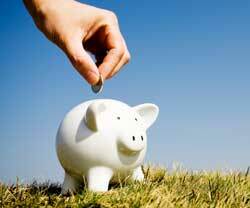 Solid financial information is the key to making sure the decisions you make positively affect your business. The best way to get the information you need is by working hand in hand with a CPA that specializes in Small Business Accounting. Adam Traywick, CPA understands the special accounting needs faced by small business owners. Take a look at what our small business accounting services can do for you, then request an appointment for your FREE initial consultation. If you’ve ever tried to read through a set of tax instructions on an IRS form for your personal taxes you know confusing it can be. You know the words on the pages are English, but for some reason they don’t seem to make any sense to the common man. 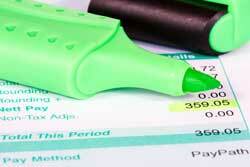 Think you might be paying too much in taxes? The best way to make sure you maximize your tax savings is to work closely with your CPA to keep your financial records current. This also gives him the ability to keep an eye on your tax structure and business situation so he can be on the lookout for tax saving you could easily miss on your own. Compilations and reviews are important for monitoring your financial situation and looking for any possible red flags that could mean something is amiss with your accounting. Adam Traywick, CPA offers both of these services. 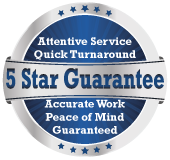 While compilations are much more common, you can easily upgrade to a review if your business situation demands it. Compilations: Most businesses need what accountants call a “Compilation.” This simply means your accountant takes the information you provide and presents it back to you in financial statement form. 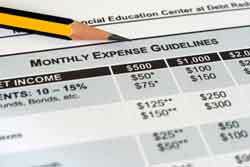 Once your statements have been compiled your CPA reads them to see if there are any red flags that seem unreasonable. Aside from the initial review, compilations don’t involve any significant analysis to ensure they are correct. 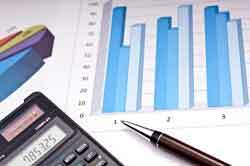 Typically, banks will ask for compiled financial statements as part of their lending process. Reviews: A “Review” is more detailed than a compilation. It’s designed to provide you with a higher level of assurance that your financial statements are materially correct. Reviews are sometimes required by certain banks or insurance companies (particularly in construction) before loans or insurance policies are issued. A review isn’t as involved as an audit, but it does involve some analytical procedures. Did you get some scary mail from the IRS? 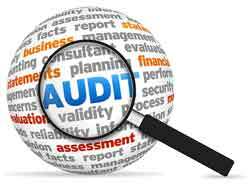 IRS audits and issues can make even the most seasoned of business-owners quake in their boots. 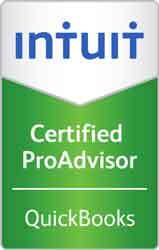 Fortunately for you, Adam Traywick, CPA has significant experience working with clients and the IRS to resolve problems quickly; helping you get out from under the stress and emotional toll an IRS audit brings with it. Paychecks are the things every employee loves to get, and the check every employer hates to cut. This is more a comment on the hassle that comes with managing payroll than a comment on your employee’s performance. Having more employees generally means your business is growing, but with every new employee comes additional forms to file and paperwork to push. QuickBooks is the most commonly used piece of software for small business accounting. For years it has been considered one of the best on the market. Used correctly, QuickBooks takes a lot of the tedious work out of keeping your books up to date, and simplifies the majority of your day to day accounting needs. However, in order for QuickBooks to be all it promises to be, you need to know how to use it correctly. As a small business owner you’re probably focused the most on current daily operations, quarterly and annual forecasts, and all the other things that get in the way of planning for your own long-term future. Your future is going to be here sooner than you know it, and if you want your business to fund your retirement there are certain steps you need to take. 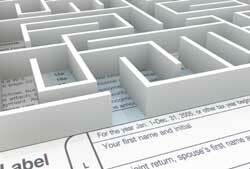 There are specific rules your company retirement plan must follow to qualify under IRS rules. Among them are specific rules about which employees must be covered under the plan. Contact Adam Traywick, CPA to discuss the benefits of each type of plan available and determine which one best meets your needs. Start Your Business Off Right: If you’re starting a new business you’re probably thinking about a thousand things at once, and setting up your bookkeeping and accounting systems may not seem like a priority yet. However, meeting with a CPA now to start things right will save you countless hours, frustration, and money. Take a moment to book a free initial consultation with Adam Traywick, CPA now! Remember: The best problem is the one you fix before it can happen.